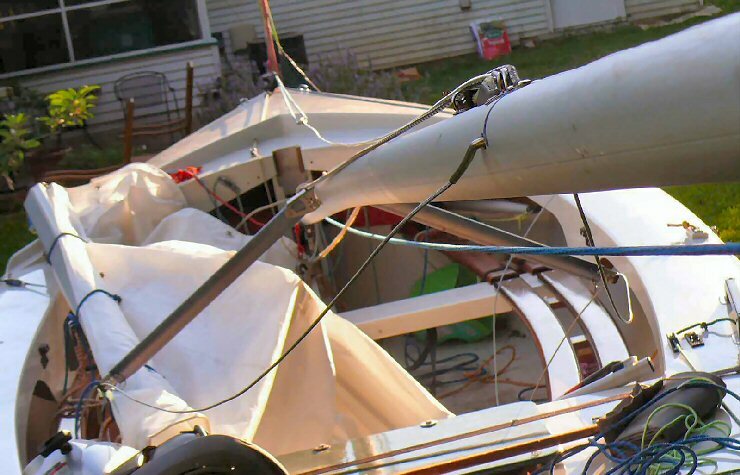 Al's note: Kinked and even broken masts can usually be repaired by a professional welder specializing in aluminum. Only a top-flight racer would notice the slight difference in bend characteristics. More here. We are still somewhat new to Wayfarer sailing. We screwed up last week exiting the ramp, got distracted by a truck badly parked in the lot; and dragged the boat , with mast upright , under a tree! Awful!! The mast seems to be bent some, but nowhere is there any crack, crease, pucker, dent, etc. Just a smooth deflecting bend, that gives the mast a raked look. Main goes up and down smoothly. We haven't actually sailed it since. Do you have any advice? Is straightening a possibility in your experience? Am using the forward function to keep the attachments and solicit 2nd and 3rd opinions. I was actually thinking of you this past week as Richard Watterson (the former W10423) and I were driving through your neck of the woods on our way to our Chesapeake Cruise. Small world. Lay the mast onto two saw horses (or equivalent) about ten feet apart with the area of max bend in the middle and facing up. Put one hand on each side of the max point and straighten arms such that mast supports body weight. As I recall, we deliberately bounced weight repeatedly - but with regular pauses to monitor progress. Fore and aft bend should be straightened as much as possible. 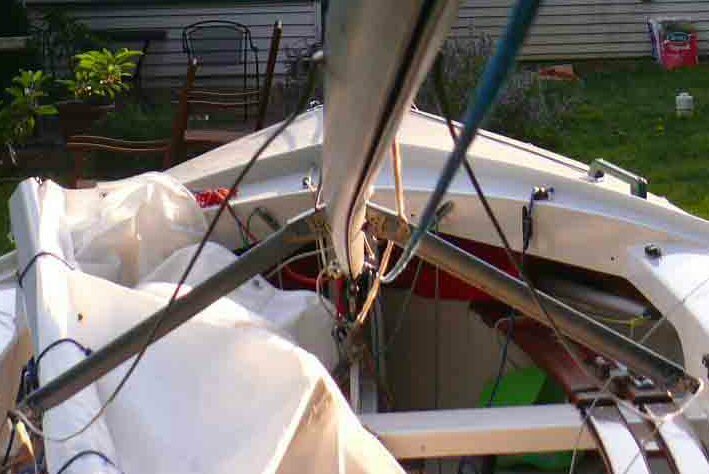 Side bend is not so crucial since rig tension tends to straighten that each time you sail. I applied your advice this morning with what appears to be good success. It seems that to get enough deflection to actually unbend the mast I needed a fairly high sawhorse, and this is the only time I can recall that I ( briefly) wished that I weighed more. I needed my full 230 lbs. 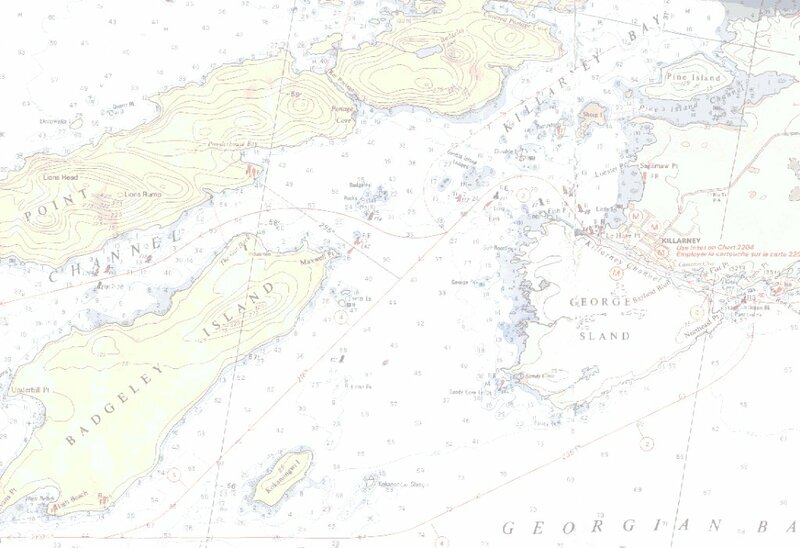 weight , sat straddling the mast on the crest of the bend, and bounced repeatedly and . 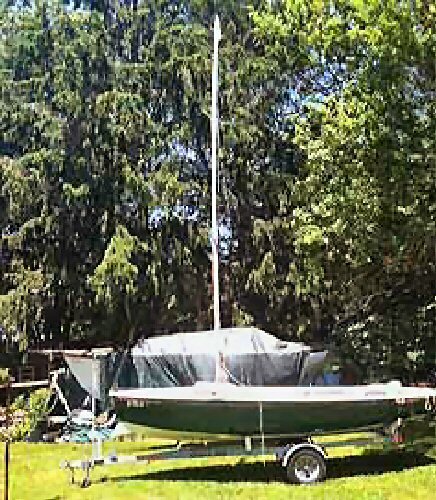 I used the spreaders as handholds, to torque the mast so that I applied my weight to the crest of the bend; there was a noticeable tendency for the mast to rotate onto its side, it needed to be resting on the sail track. 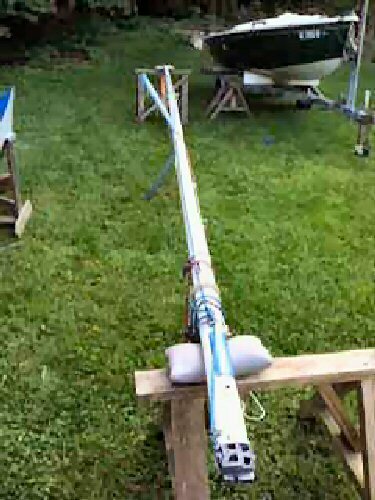 I used small sandbags between the sawhorses and the mast on both ends, to prevent denting the sail track, seems to have worked. Attached are before and after pictures. How do they look to you? Without your advice and especially the cruse log and photos from your 2007 event, I doubt I would have been aggressive enough to actually get it straightened. Wow, Mike!! Excellent!! Our original mast-bouncer, George Blanchard would have been proud. You have inspired me to add this to my WIT today. Best wishes for a happy summer of sailing. See you at next year's Chesapeake Cruise which we are planning to make into more of a Rally, i.e. 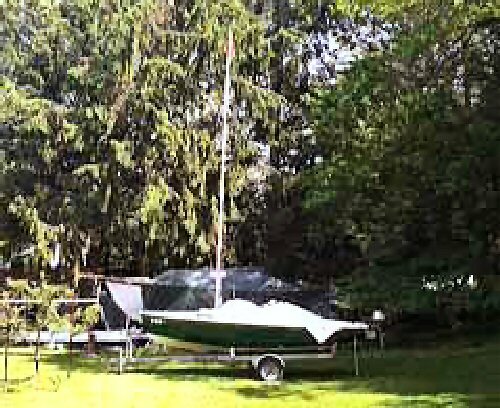 a week-long series of daysails out of Pieceful Cottage in Wenona on Deal Island, probably starting the Saturday before Memorial Day, Sat 24 May.